Join us for our Sympli Spring Trunk Show! Come by to shop, have coffee and dessert, and enjoy lunch. Relax and be yourself! Sympli designs with the mindfulness that each woman is unique. Sympli doesn’t just scale up & down but instead shapes styles for each size. Each piece is tested on multiple women with diverse body types to ensure the most flattering fit. While you pack your wardrobe with your new go-to clothing items, add some beautiful jewelry to your look to feel even more confident. Shop the Julie Vos Spring Collection this weekend. Julie Vos creates new collections each year, drawing inspiration from vibrant New York City, her adoration of the fine arts and her passion for travel. She absorbs the glorious details of the cities she visits – the architecture, the art, the ironwork – and interprets it to create stylish and sophisticated classics that make women look and feel beautiful. Celebrate the Seasons at Renaissance Market! Santa has landed at Renaissance Market! us help you take the hassle out of shopping and put the enjoyment back in Christmas season. This holiday season save yourself the time and hassle and let us prepare the food for your next holiday party or event. Join us for the Festival of Lights this Friday! This Friday night December 2nd join us for the 23rd Annual Festival of Lights in the Oil Center. Call us today to make reservations for dinner in the Brasserie! We will be serving our fall holiday menu. Call us today for dinner reservations! Bundle up and come and enjoy the spirit of Christmas with us tomorrow night at the Festival of Lights. Experience the joys of the holiday season while shopping for holiday gifts in the market and dining in the Brasserie. In honor of the holiday season we will now be open on Sundays from 12-4 and will remain open through Christmas Eve. Why fight the traffic when you can shop stress-free with us? During our Sunday shopping hours we will be serving complimentary champagne! Keep the tranquility of the holiday season and enjoy peaceful Christmas shopping this year when you shop at Renaissance Market. We have something for everyone on your list and can even create custom gift baskets! Let us help you take the hassle out of shopping and put the enjoyment back into the Christmas season. This holiday season save yourself the time and hassle and let us prepare the food for your next holiday party or event. We can help you decide on a custom menu and provide catering and foods to-go. We even offer a delicious assortment of holiday cakes and desserts! Fall Means: Fashion & Holiday Home Decor! It’s Fall Y’all! We are welcoming the cooler weather with autumn home decor, chic fall fashion arrivals, and adorable Halloween & other holiday decorations! If you’re anything like us, you’ve been waiting all year for fall to arrive! There’s nothing better than cooler weather, football, and filling your home with pumpkins! 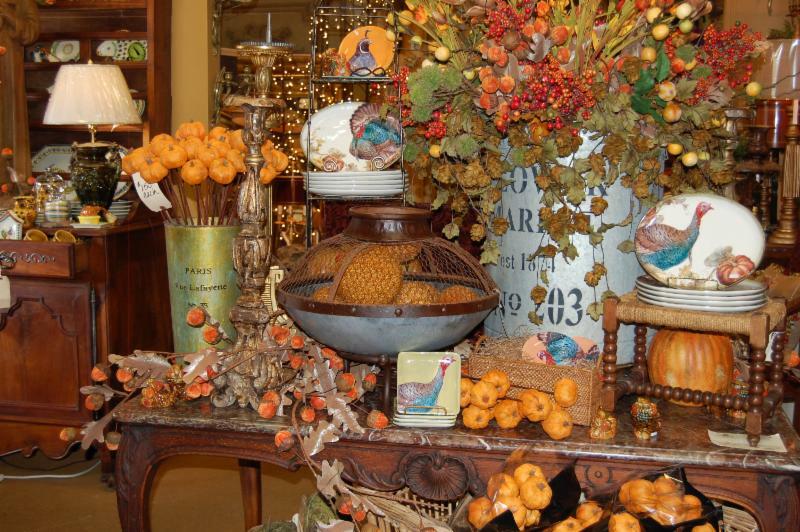 At Renaissance Market we have hundreds of home decor items to help you get your home ready for the new season. Whether you’re looking for woodland creatures, velvet lush pumpkins, or classic autumn leaves, we have it all! We have hundreds of new fall clothing arrivals just in! Sweaters, coats, dresses, we have it all! One of our favorite fall trends this season is suede. We have various styles of beautifully elegant suede coats for you to stay warm and fabulous this winter. The other trends we are loving this season are the gray and taupe color palettes seen in these sweaters on the right. Cool neutrals balanced with black bottoms will keep you stylish and sleek for the cooler weather! Fall brings not only cooler weather but also the holiday season! From Halloween to Thanksgiving all the way to Christmas, Renaissance Market is your go-to place to find elegant and fun holiday decorations. No matter if you’re decorating your home or preparing for a holiday party we have everything you need to get in the spirit! Mary’s Pick of the Week for Father’s Day. handcrafted pieces can add a little rustic luxury to his home OR camp! Shop With Us For Mother’s Day. Mother’s Day is right around the corner! Shop for Mom with us to show her how much you care. There is just there something remarkable about hand-painted teapots. How about adding some sparkle to Mother’s Day with a gorgeous piece of jewelry? After Christmas Sale and other merchandise. . .
Come in and enjoy 60% off already reduced Christmas items, plus 50% off Red X marked merchandise. While you’re here, check out our new spring clothing, wonderful scents and home decor. New items in daily. Celebrate Oil Center Festival of Light with us! Make your reservation for dinner at Renaissance Market. See the lights, enjoy holiday shopping and have dinner with us. Oil Center Festival of Light – Friday, Dec 4, 2015. It’s Lafayette’s most loved holiday tradition. Call us at (337) 234-1116.